Candy bar – Fill glass jars with different kinds of colorful candy and provide scoops and bags for gusts to fill. Pancake breakfast – Find a local Lions Club or VFW that will make your pancakes on site in exchange for a donation to one of their favorite charities. Sundaes & Sodas – All you have to do is keep the ice cream cold and provide lots of toppings and soda flavors. Carbonated soda makers are available everywhere now. Subs – Sure, you can order these pre-made from a restaurant, but you can also make them yourself. Buy long loaves of French bread (ordered ahead of time), slice them horizontally and add your favorite fillings. Then slice into individual servings. Fill out the menu with snacks and beverages. Shop well in advance to get the best deals on canned or bottled beverages. Or make your own beverages. Think about lemonade, iced tea, root beer floats, or a punch bowl filled with punch in your school color. Add colored straws in the second school color. 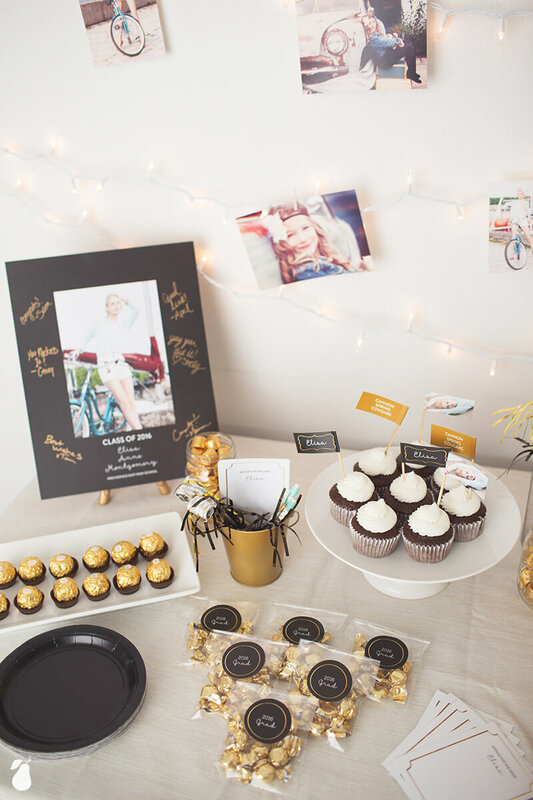 At a minimum, you’ll need table coverings and some sort of display to honor your graduate. It’s easy to create your own photo display, along with memorabilia, awards and trophies you’ve saved over the years. 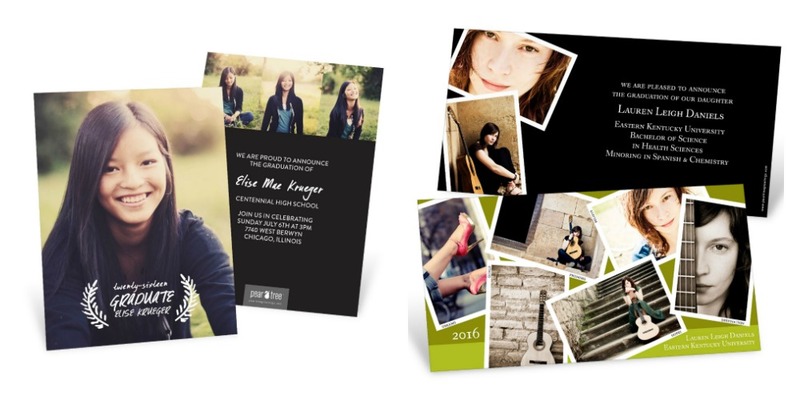 But for about the same price as all those photo reprints, you could create a custom poster that holds up to 54 photos and takes just minutes. 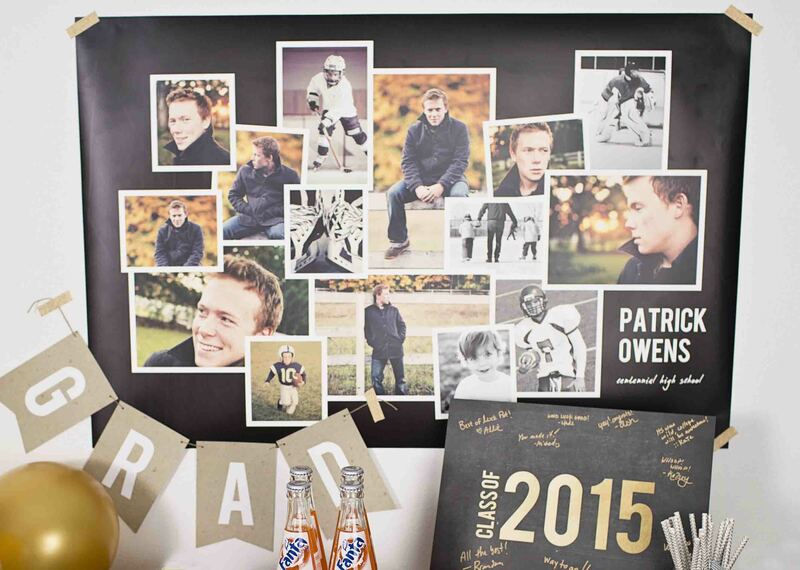 See our Pinterest board for more graduation photo display ideas. Colorful rolls of plastic or kraft paper are inexpensive ways to cover your tables. 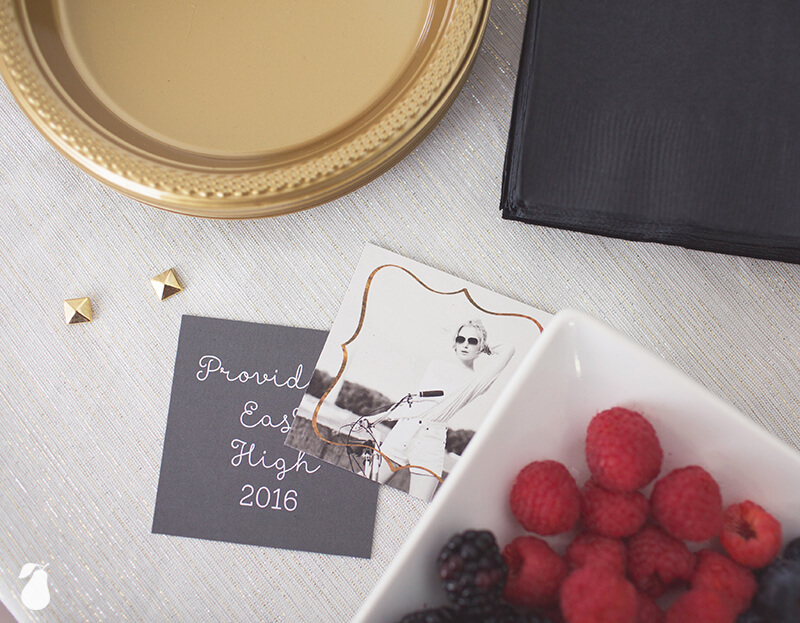 Adding personalized table decorations sounds like a splurge, but can be used in so many ways they’re worth every penny. Depending on your budget, you can add a bunting banner, or create one of your own out of twine or a strand of lights decorated with photos of your grad. See? 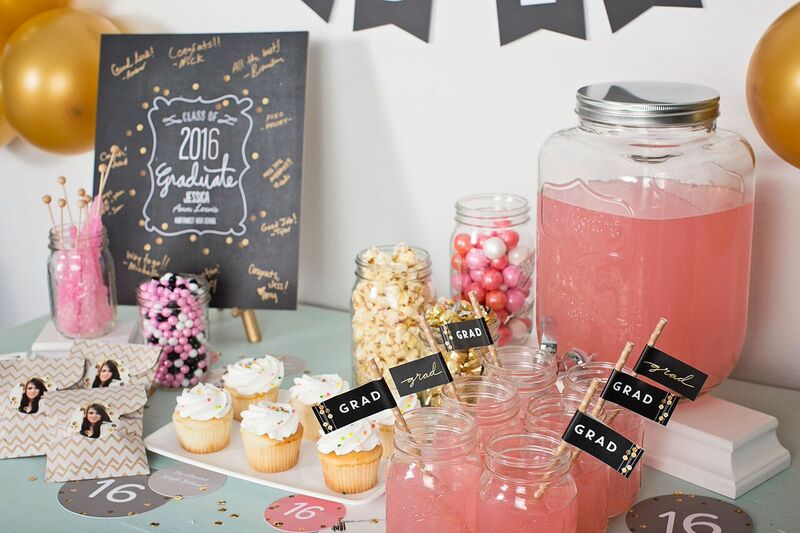 You can plan a graduation party on a budget that both you and your grad will love. 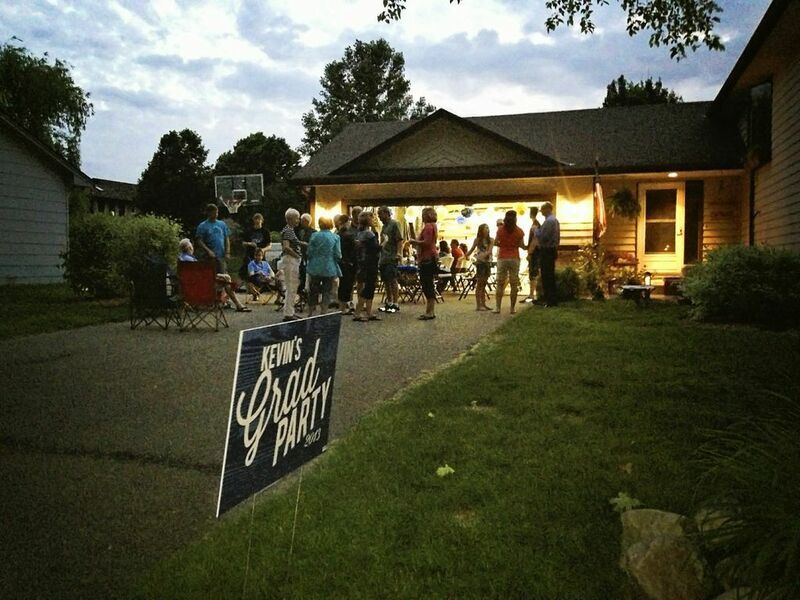 We’d love to hear your graduation party ideas and cost-saving tips! 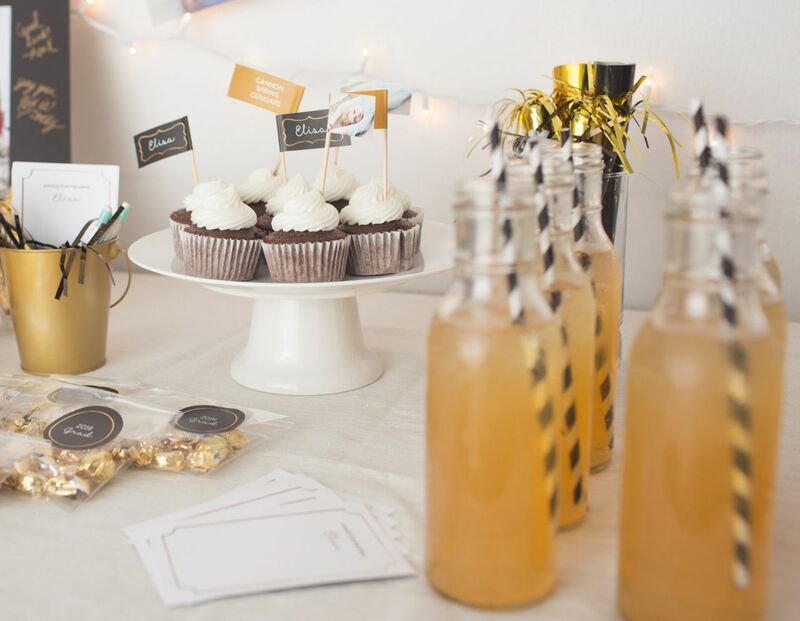 Tagged:Graduation InvitationsGraduation Party Decorationsgraduation party food ideasGraduation Party Ideasgraduation party ideas on a budgetgraduation party on a budgetWith these money-saving ideas you can throw a graduation party on a budget that will make both you and your grad happy.